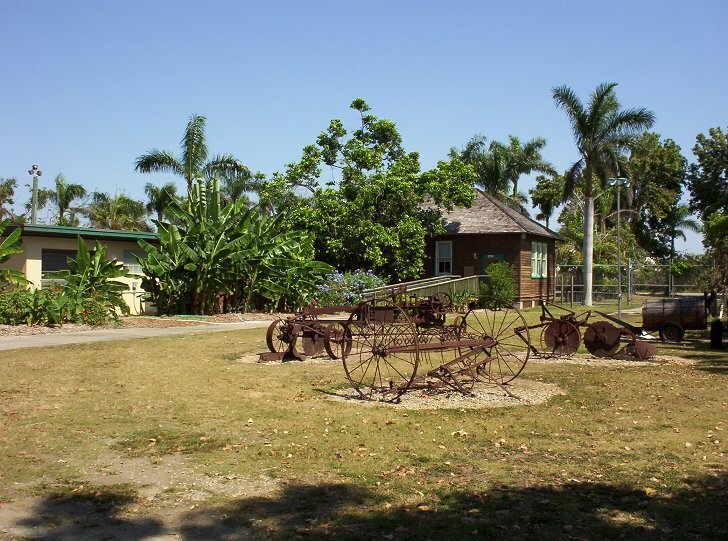 This photo shows the Florida Fruit and Spice Park Store as viewed from inside the park. It is the wooden building located near the center. In the foreground are examples of old farm equipment. Inside the store, fruit and spice park staff provide complimentary samples of fruit grown within the park. The store also sells a large variety of fruit and spice related products, foods, and reading material.